Come to a General Meeting to listen to informative speakers, connect with other members and participate in governance of the group. Coffee and light refreshments will be served. Members and non-members welcome. 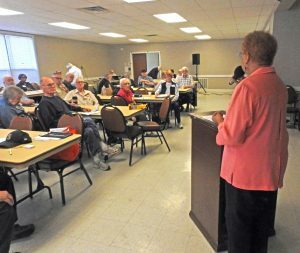 SIGs are comprised of KCS members who share a common interest or hobby and want to learn from one another on a specific topic. Previous SIGs have included: Genealogy, Creative Writing, and Mac Users. 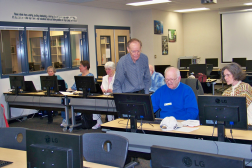 Our current classes are for intermediate users of PCs. They are led by Larry DuSavage and Jack Roudebush, and although there is usually a specific agenda, there is also ample opportunity to get your questions answered. Want to practice your newfound PC skills? Got a nagging problem that you haven't been able to solve? Bring your laptop or devices and come to a lab! We will probably be able to help. Computers are provided for those who don't have one. Meets the third Monday of each month (except July and August) 10:00 a.m. to 12:00 noon in the lounge of the Sheridan Park Community Center at 680 Lebo Blvd in Bremerton. Parking in front or on upper level, handicapped accessible. At every General Meeting help is needed, both to bring food items and to get food ready for the attendees. FOOD DONATIONS ARE ALWAYS WELCOME! See Calendar for the dates of the next General Meetings. Available to Members Only. Meets the second Monday of each month January through December, except June, July and August at the Sheridan Park Community Center, Conference Room, 12:30 to 3:30 p.m. Past topics discussed include Investing Online Tools and Features, Google Finance Portfolios, Stock Central and ICLUBcentral Features and more. Coordinator: Don Brown, (888) 901-5805 ext 5. See Calendar for the dates of the next Stock Investors Group meeting. Open Forum Windows 10 Class: Meets the second Wednesday of each month, except July and August, 12:30 to 3:30 p.m. Classes are geared toward intermediate to advanced PC users, and typically cover security issues, bugs and more. Interactive Q&A session at the end of class will address your PC challenges and help solve them. Important Location Note: September’s Class will be held at the Sylvan Way Library, 1301 Sylvan Way. 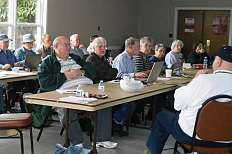 October’s class will be held at the Sheridan Park Rec Center, 680 Lebo Blvd. Coordinator: Larry DuSavage, (888) 901-5805 ext 4. See Calendar for the dates of the next Windows 10 Classes. Available to Members Only. 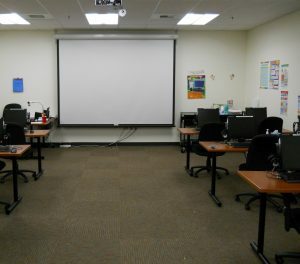 Intermediate Computer classes are held the Third Saturday of each month, except July and August at 1:00 to 3:00 p.m. in the Bremerton Goodwill training facility, 4209 Wheaton Way, Bremerton. Sign-up is not necessary; just show up. Coordinator: Jack Roudebush, (888) 901-5805 ext 8. See Calendar for the dates of the next trainings at Goodwill. See Calendar for the dates of the next trainings in Bremerton. 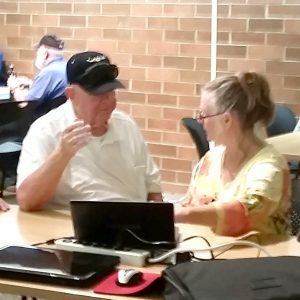 Sylvan Way Library Lab: Free one-on-one tech help for all your devices! Meets most Fridays at the Sylvan Way branch of the Kitsap Regional Library (1301 Sylvan Way, Bremerton) 1:30 to 3:00 p.m. Coordinator: Larry DuSavage, (888)901-5805 ext 4. See Calendar for the dates of the next library labs. Larry joined KCS in 2006 because he wanted to help teach others. He has previously served as President, and is currently our Historian and assistant Treasurer. After serving as a submarine sailor for 21 years, Larry went back to school and earned his B.S. in Computer Science. He went on to work for local companies such as AMSEC and Anteon performing computer programming and database administration. 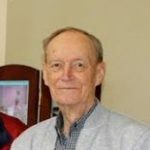 Besides teaching KCS classes and helping at labs, Larry is still active with his own business computer consulting business. In his time with the group, he has volunteered and served as Membership Chair, Vice President, President, Instructor, Training Coordinator and Webmaster. Currently, he functions as Newsletter Editor. 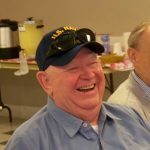 Prior to his volunteering career with KCS, he spent 25 years in the Navy after receiving a BS in Electrical Engineering from Purdue University. Don is an original member of KCS, and has been active in the group since 1992. 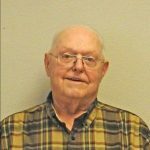 He spent his engineering career working at Naval Shipyards, both as a civilian and an officer. He arrived at PSNS in 1956 in the Design division, and has been here since. He retired in 1988. He has been working with and around computers since the mid-80s, and his first personal computer was a TI99. He enjoys analyzing stocks and managing portfolios online in his spare time, and is the Treasurer of a private investment club,.